The English Opening is a popular flank opening. The English Opening starting with 1.c4 is a modern way to handle the opening phase of the game. This opening is a "flank" opening since it starts with a side pawn rather than the central 1.e4 or 1.d4 moves. 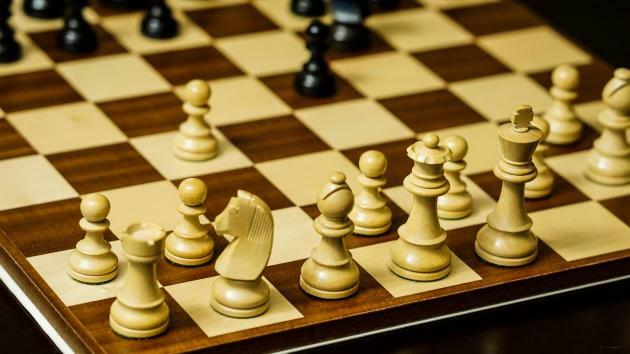 Many players from chess history and today's top grandmasters have used it with success. One of the first players to use the English Opening successfully was Howard Staunton. Let's take a look at how Staunton handled this opening. Take note of the slow maneuvering he uses instead of a direct attack which was more common for this time period. You can see in the above game how White played patiently, slowly building the position move by move. Only later did he launch the decisive attack. English Chess Master Howard Staunton. Let's fast forward 167 years to see how world champion challenger Fabiano Caruana defeats former World Champion Viswanathan Anand using the English Opening. Fabiano Caruana played the English Opening in an aggressive and direct way. The nice part about this opening is that it suits both aggressive and positional play based on White having a strong structure and a safe king. World Champion Challenger Fabiano Caruana. Note that this opening can transpose into other openings, and players often use 1.c4 to reach other favorable openings. One example is transposing into a Queens Gambit Declined. The English Opening can transpose into many different openings. The English Opening is a strong way to start the game for both positional or tactical players. The opening also offers players a way to trick their opponents by transposing into other main-line openings. Leave your favorite English Opening games in the comments below!